It's no secret that smartphones are fast, barring intentional performance throttling. While much of this speed comes from a phone's processor, the impact rapid flash storage can have cannot be overstated. According to Engadget, despite the fact that smartphone flash storage speeds already rival what you can find in a desktop machine, the mobile industry could be in for yet another major step forward in the form of United Flash Storage (UFS) 3.0. Compared to the current UFS 2.1 standard, UFS 3.0 could offer double the performance, with a data rate of "up to 11.6Gbps" per lane and support for a maximum of two lanes. In addition to raw speed increases, UFS 3.0 will get features like "temperature event notifications" if a given device gets too hot or too cold, a 2.5V VCC power supply that lowers energy consumption and features aimed at vehicles such as an extended temperature range and an added "host control mechanism" to improve device data reliability. If all of that sounds a bit complicated, suffice to say that UFS 3.0 technology will be a good thing for the future of the smartphone market. You can expect longer battery life, faster, more efficient operations and improved overall system performance. Whether or not most phones will include strong enough hardware to take full advantage of this upcoming tech remains to be seen, of course. 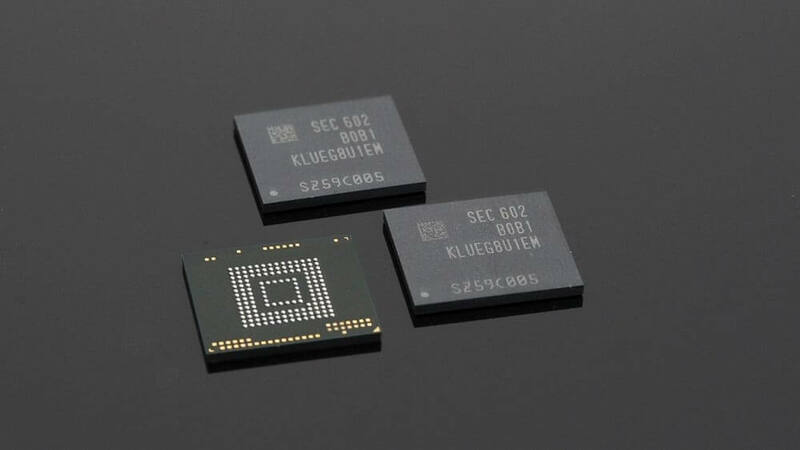 Even then, it could be quite a while before UFS 3.0 flash storage makes its smartphone debut as the technology will undoubtedly have a few kinks that need to be ironed out in the coming months.